Gatorade — Steel City Beverage Co. Deep in Gator Country a legend was made back in 1965. Plagued by heat, the University of Florida football players fell victim to one of the most devastating competitors ever - dehydration. Something revealed when players never had to use the 'facilities' during games. University of Florida doctors discovered that the players weren't properly hydrated, causing their performance to falter. The researchers — Dr. Robert Cade, Dr. Dana Shires, Dr. H. James Free and Dr. Alejandro de Quesada, formulated a new carbohydrate-electrolyte beverage that, unlike water, kept the players properly hydrated. The Gators went 7-4 that year, 9-2 in 1966 then went on to win the Orange Bowl for the first time. Time after time the Gators outplayed their opponents late in the game, even under sweltering conditions. 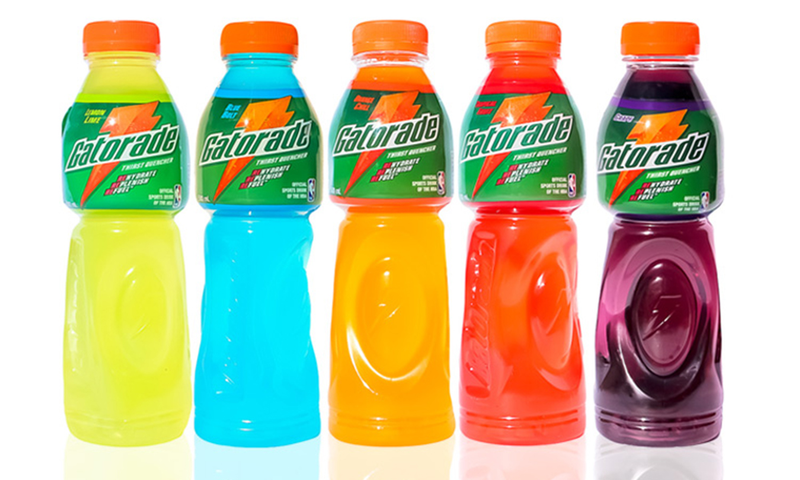 Athletes soon started asking for Gatorade and swore by its ability to help them go longer and finish stronger. Gatorade's dominance has continued to grow as a winning product, gaining notoriety with the beginning of the Gatorade 'Dunk' tradition in the 1986-87 NFL season, when two players soaked their coach with Gatorade after winning the Super Bowl. Today, from its humble beginnings, Gatorade continues to fuel some of the world's most prominent athletes, who you can read about in our players lounge. If you want a product that will help you work harder, for longer, look no further than Gatorade; scientifically proven since 1965. Our product comes in a 500ml carton of 24 bottles which is a Parallel import product.